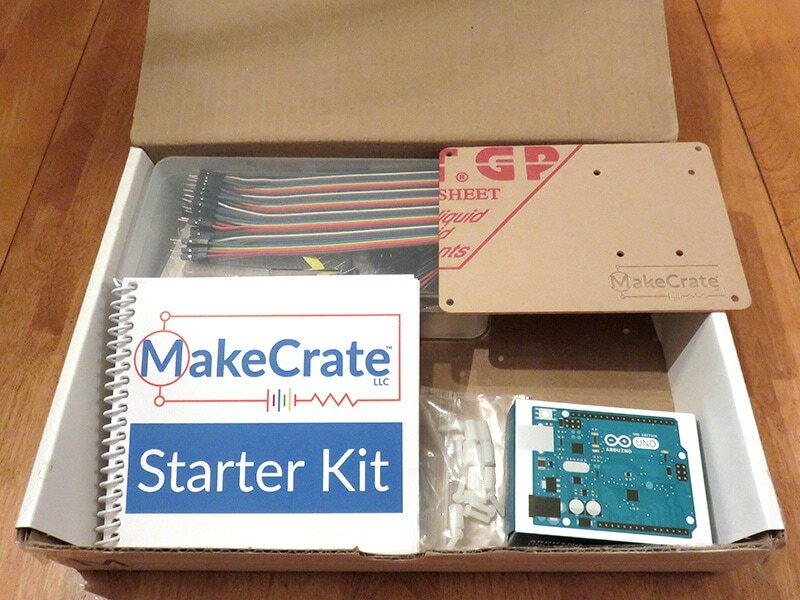 MakeCrate is a STEM-based (Science, Technology, Engineering, and Math) subscription box recommended for students aged 13+, but it’s perfect for all ages—younger kids may need assistance from adults, and adults can build these projects, too. Created by educators to “introduce and reinforce engineering, electronics, and coding skills, including problem-solving, troubleshooting, circuit design, algorithm development, and writing and testing code.” MakeCrate Monthly Coding Kits are user-friendly and use genuine Arduino products: microcontrollers, baseplates, breadboards, resistors, jumper wires, etc. There’s also an easy to follow instruction booklet in each electronics kit with clear directions and illustrations. 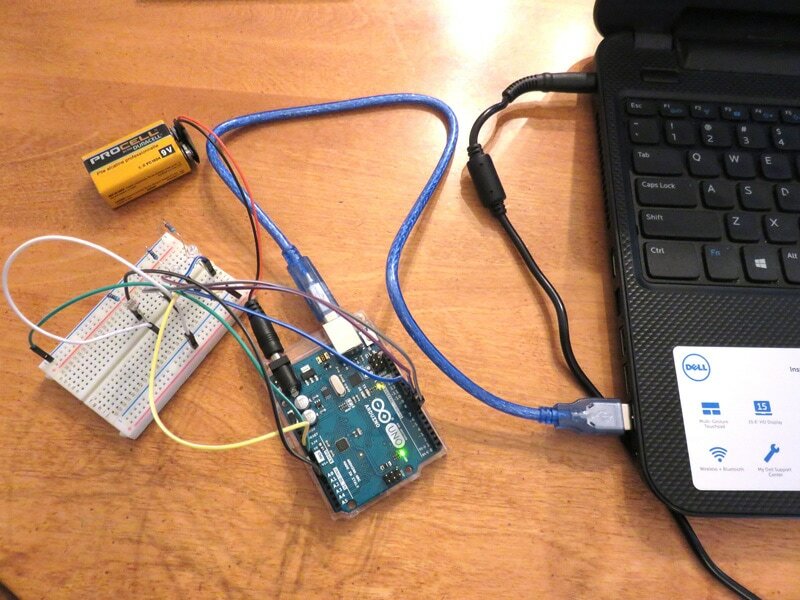 Plus, there’s an online tutorial to guide the maker in building and coding the project. The only supply needed is a computer. We received a 3-month MakeCrate subscription which is the Starter Crate, Nightlight kit, and Soil Moisture Monitor kit. 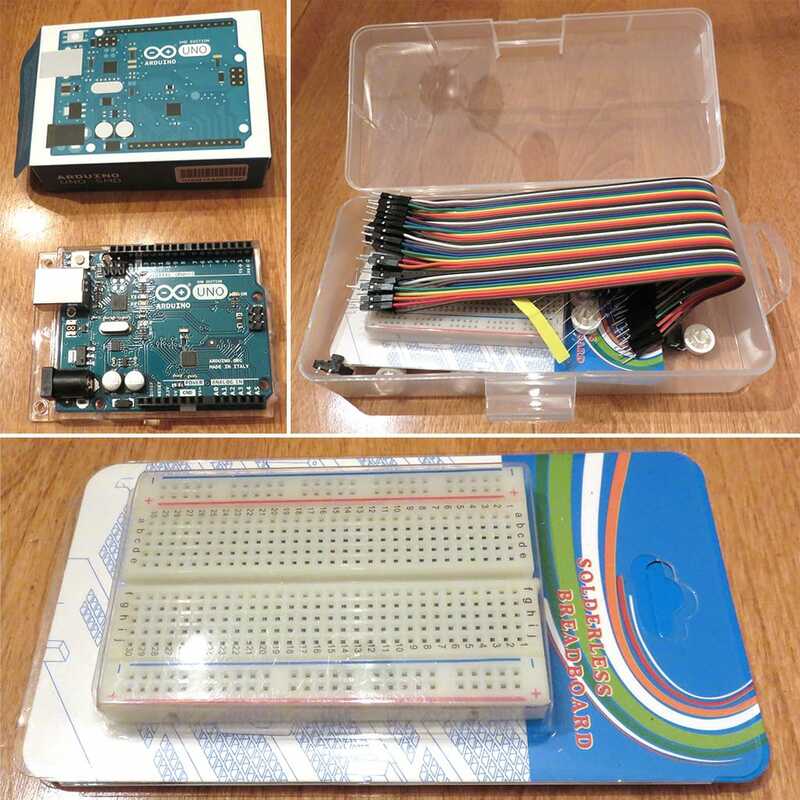 The Starter kit contains all the components needed to complete the project—an Arduino microcontroller, breadboard, a case to store all of the pieces, an easy to use booklet, a USB cord to connect the project to the computer, access to the exclusive online content and tutorials, plus an online forum for challenge projects and Q&A portal. The first MakeCrate coding project was easy for our maker to complete and he needed no assistance from mom. 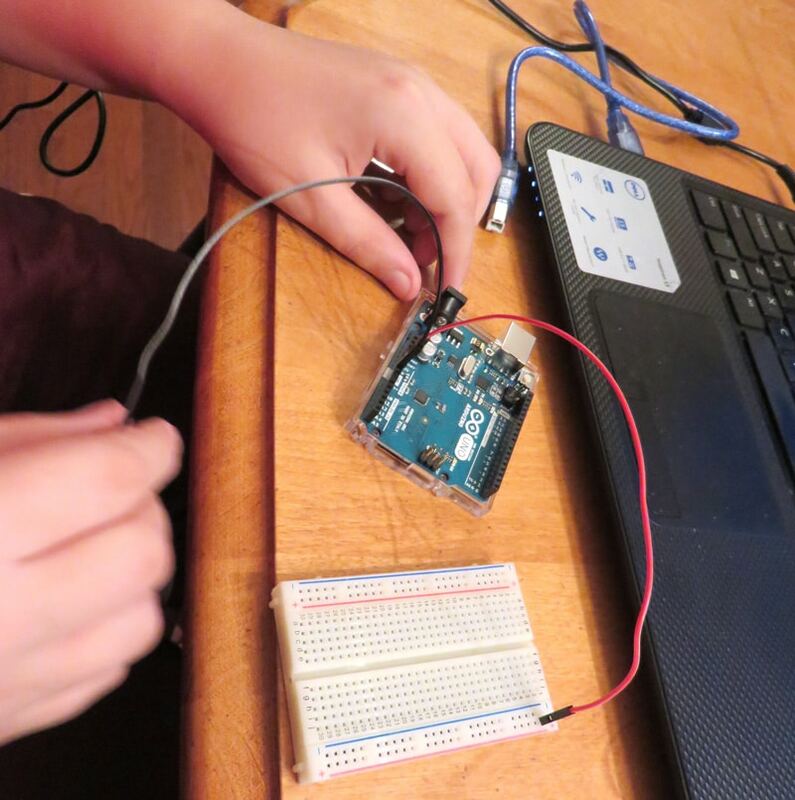 The project came together quickly and would be easy for a novice to complete and code with the step-by-step instruction booklet and online tutorial for the coding. He enjoyed building it and was never frustrated by the project due to the careful detail used to create the kit. It’s designed to make science fun while being educational. 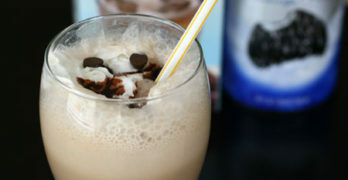 There are three projects in the booklet, and all use the components provided. Our maker was happy to see the Blinker project work after assembly, and he enjoyed the coding process. He was able to explain what he was doing to mom. While coding, he learned the importance of case-sensitive use and was able to figure out how to fix an error with the correct case without assistance. The online tutorial was clear and uncomplicated. The next shipment was the Nightlight kit which uses the microcontroller, breadboard, and USB from the first kit, and the box contained all of the other items needed to complete the project, including LED Diodes, a Microphone, screwdriver, 9-volt battery, and the instruction booklet. 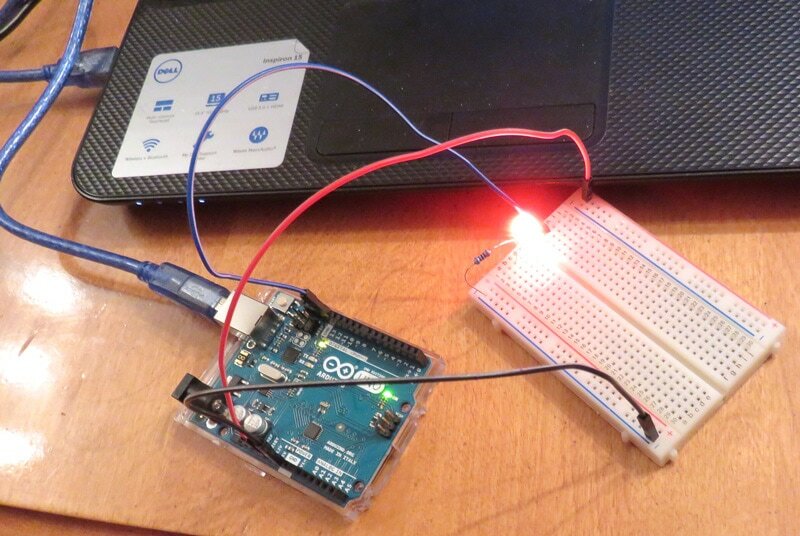 An additional project is in the booklet to use the nightlight with a clap on/clap off function. 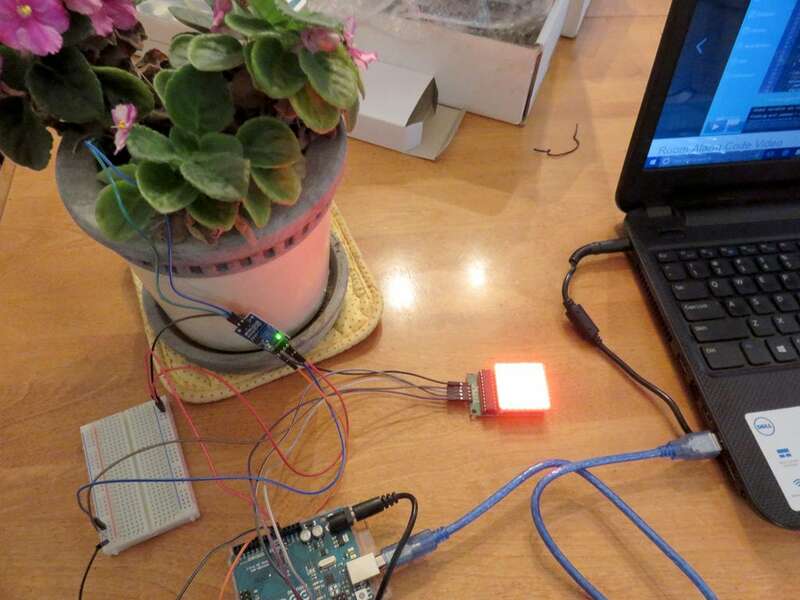 The coding on the online tutorial helped our maker complete the project. The third MakeCrate shipment was the Soil Moisture Monitor kit which uses the microcontroller, breadboard, and USB from the first kit, and the box contained the other items, including an instruction booklet, LED Matrix, Soil Moisture Sensor, and AC adaptor. Again, the coding helped our maker complete the project. This was the favorite project built by our STEM enthusiast. It’s easy to see why kids (and parents) love MakeCrate Monthly Coding Kits. With STEM-based education becoming more universal, the MakeCrate subscription box is perfect for students who love to practice what they learn while still having fun. 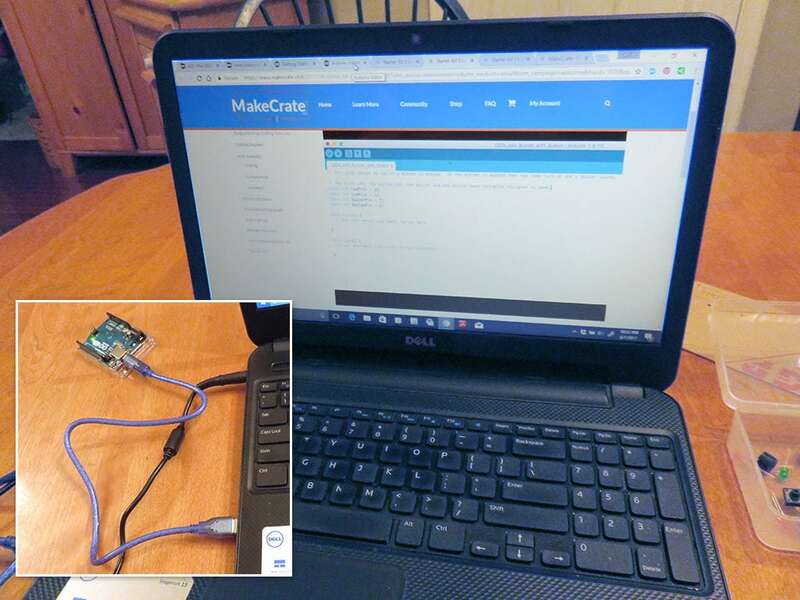 MakeCrate makes it easy to comprehend the skills while reinforcing the basics needed for building projects and teaching coding using genuine Arduino microcontrollers in a user-friendly platform. MakeCrate Monthly Coding Kits are available as subscriptions that start at $60 for the Starter Crate and $30.00 each Crate after. Single MakeCrate projects are also available from the MakeCrate online store. To learn more, visit the MakeCrate website at www.makecrate.club.